The Black Diamond ToolBox is designed to store your sharp things and protect your ropes, jackets, and packs from punctures. 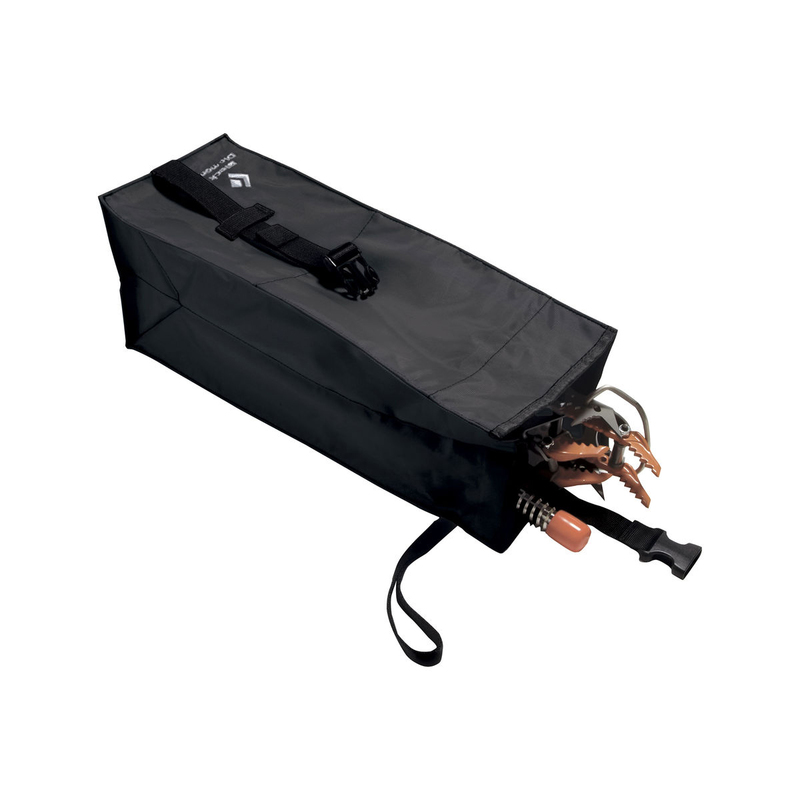 The Black Diamond ToolBox is made from durable ballistic nylon carrying bag stows your crampons, screws and Spectres, and features an interior zippered pocket for spare picks and files. This bag is really great. I bought just to round of an order, but it’s been used more than anything. It fits my whole trad rack, which still amazes me. No regret! Extra storage for your equipment (not only for crampons). Perfect companion for down patrol line. A good solution at cheap price.